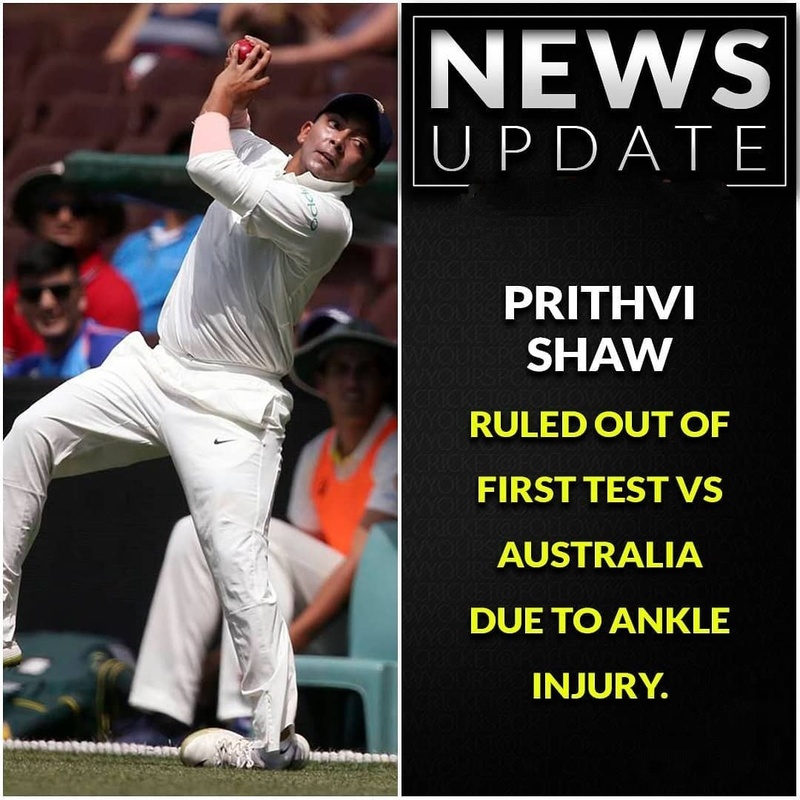 India's fearless opening batsmen Prithvi Shaw has been out of the first Test against Australia due to an ankle injury. The BCCI on Friday gave a clear statement through a press release. 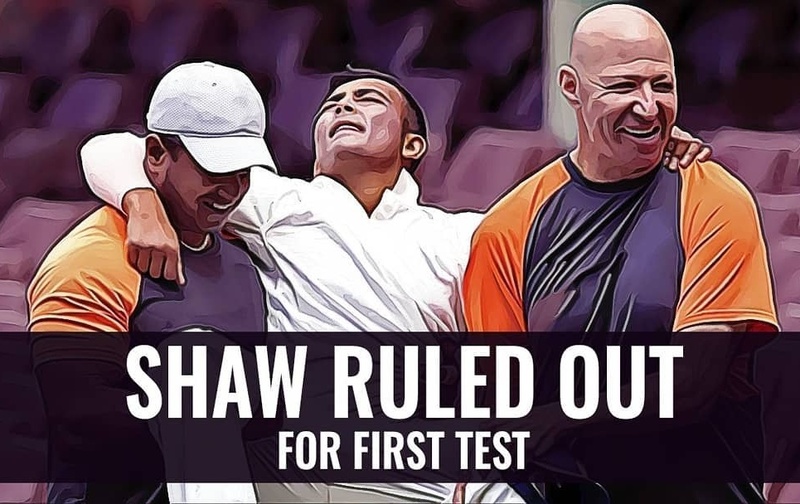 The BCCI said, "Shaw has caught with an ankle injury in a 4-day practice match against CA XI in Sydney." To recover from this injury, Shaw will go to the restoration. In his absence, Murali Vijay can be given an opportunity to open along with KL Rahul. Murali Vijay's bat remained silent against England, after which he was dropped out of the team. However, after failing against England, Vijay immediately joined county cricket. In the first match of the county, Vijay played a superb inning of 100 runs playing for Essex and gained the attention of the selectors once again. 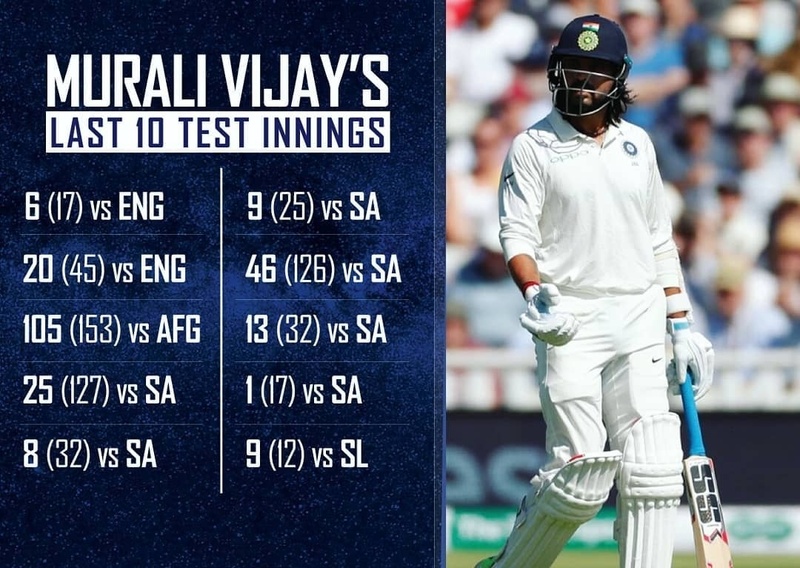 Murali Vijay has played 12 Tests since 2017, in which he has scored 4 centuries and 1 half-century. During this period, he scored a total of 753 runs in 21 innings. 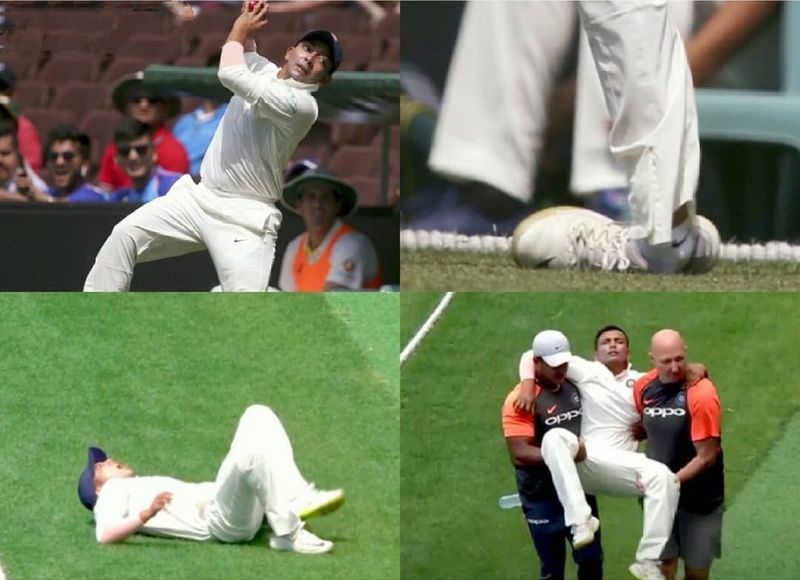 In such a situation, Murali Vijay will have a chance to prove himself in Australia.